Merry Christmas Eve from the MORS Crew! 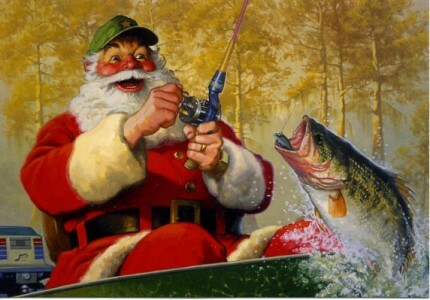 I heard Santa spends his Christmas Eve day-fishing before starting his trip around the world to deliver presents to all of the good people out there. That explains why he delivers the presents so late at night! Whatever you do today, we hope you have a great time doing it.